Ask yourself these 3 questions and get clarity now. If there’s one thing I see causing more wasted effort, energy and time than anything else in business-building, it’s a lack of focus. I talk about the absolute importance of focus so much, so I would be remiss if I didn’t talk about how it specifically propelled Life With Passion forward in its first year in business. I used to be a professional, proud multi-tasker. Keeping my email open, responding to texts & emails as they came in, refreshing, checking Facebook & scrolling, a million browser tabs open (oops, that still happens). 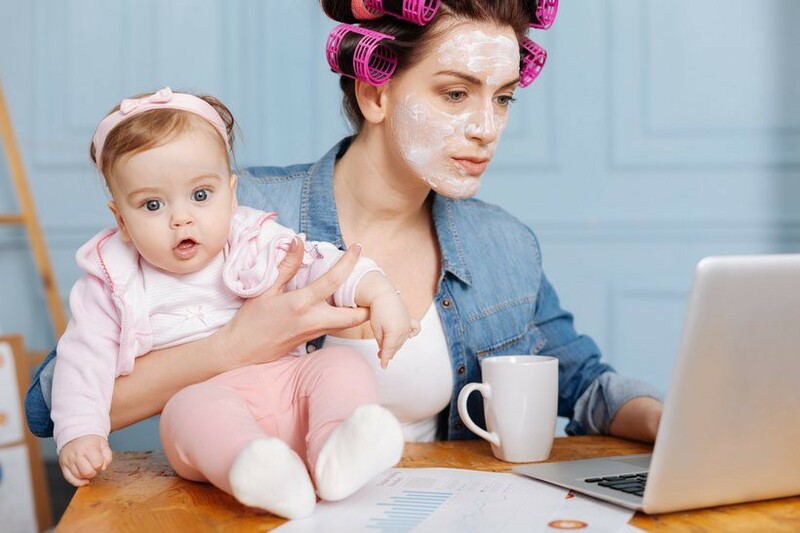 I could give you many examples of how focus allowed me to grow my business, but perhaps the most powerful is what I was able to accomplish while most women are still on maternity leave. My rainbow baby, Fiora, arrived after an anxiety-filled pregnancy triggered by the full-term stillbirth of my first daughter, Maeve, so I was naturally obsessed with spending every waking moment with her. All this while breastfeeding, getting enough sleep, and enjoying snuggles and allowing myself to really fall in love with my new miracle girl. Pretty crazy, right? I share the list above to prove the power of focusing on what you desire to accomplish, having support & accountability to get it done, and being in your Zone of Genius (discussed by Gay Hendricks in his equally genius book, The Big Leap). I’m doing the work I’m meant to do, making good money with it, and it truly doesn’t feel like work! Often, we amaze ourselves at what we can accomplish when we’re doing what we love. If you’d asked me before Fiora was born how much I’d be able to get done with a newborn, I would have told you, “Not much!” In fact, my plan was that I would do absolutely no work for at least the first month, and then re-assess. But what I soon discovered is that I was full of energy and excitement to grow my business while embracing and learning about life with Fiora here. Because I was clear on who I was meant to serve and what they needed from me, how to use my newly limited number of hours was also clear, and it resulted in massive impact and growth for my business, in just a few hours a day. Often, the overwhelm comes in when we’re feeling confused about what our business is about, and for who. You can distill this down to simplicity, and it’s easier than you think! Spend some time journaling these questions, then, share with us below! Christine McAlister is a business + success coach at Life With Passion, helping high-achieving, motivated women overcome their self–doubt, rediscover their unique gifts and create freedom-based businesses. Want some clarity for yourself? Walk through these questions in her free workbook, Top 5 Things To Do To Get Your First Or Next Client, and connect with her in her private Facebook community, Life With Passion Society. Originally published at www.huffingtonpost.com on April 2, 2017.